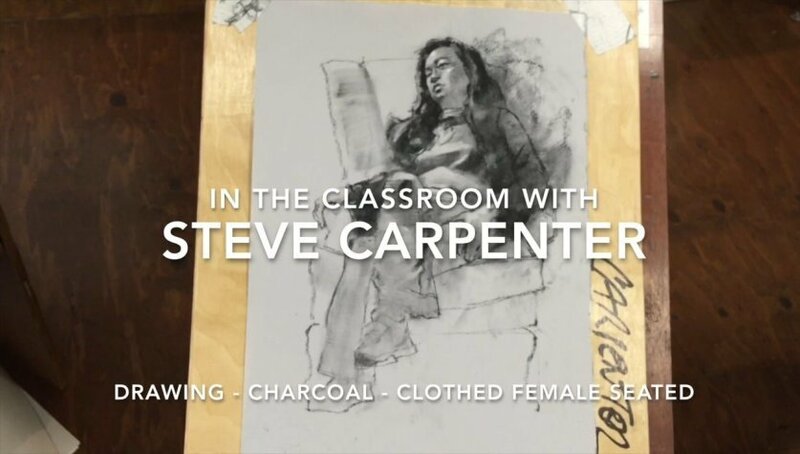 In this charcoal drawing demonstration you will get tips on how to generate charm and attitude. Scale for the portraiture, using line and shadow to build form, creating middle tones, and design considerations are all explored. You will also see how to render clothing in a simple but effective way. Thank you Steve. Great to see the model as well as your drawing.